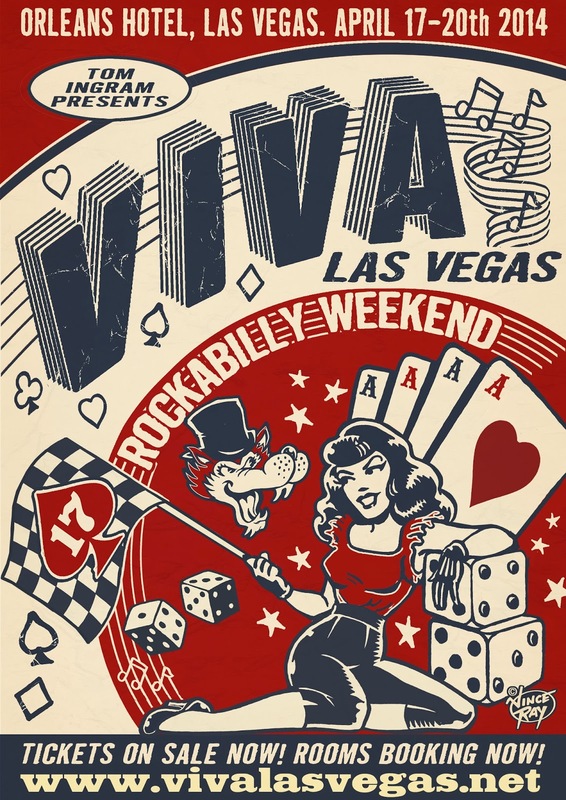 I added a paragraph here for what's new at Viva Las Vegas Rockabilly Weekend this year, in 2014. There is again a tattoo booth area, but the tattoo contest will be for only those tattoos that have been done at Viva. There is a second stage of music added to the car show area Saturday. The car show will be in an expanded portion of the Orleans Convention Center outside at the hotel for the second year (it's getting bigger each year). Audrey Deluxe has returned to co-producing the burlesque competition and showcases which are Friday night and Saturday night in the Orleans Showroom, working with Tom Ingram as she did before. In addition Tom Ingram started a new event coming in Oct. with a limit of 1500 attendees. It's all about rockabilly music, nothing else. It'll have limited vendors on site. Find out at http://www.facebook.com/therockabillyrockout. 10- If you want to see around the city, the Big Bus Tour is pretty fun because of picture potential on top of the double-decker. Look for the big red bus, buy tickets, and hop on or off wherever you want. Set aside a few hours to do this downtown or on the Strip. If you want to go see old Vegas, go downtown, newer is all on the Strip. Some new things downtown are the Vegas Tech community and nerd takeover, plus a few hotel renovations. The little store front Burlesque Hall of Fame is in the Emergency Arts Building Downtown by El Cortez as well. 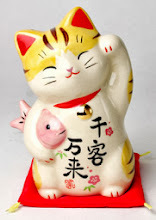 If we're lucky, the same weekend of Viva (Apr. 17-20) the Jennifer Keith Quintet with members of Royal Crown Revue will be free at the Cosmopolitan Chandelier Lounge. She's just a must-see for lounge and vintage lovers around the world. Her schedule is at jenniferkeith.com. 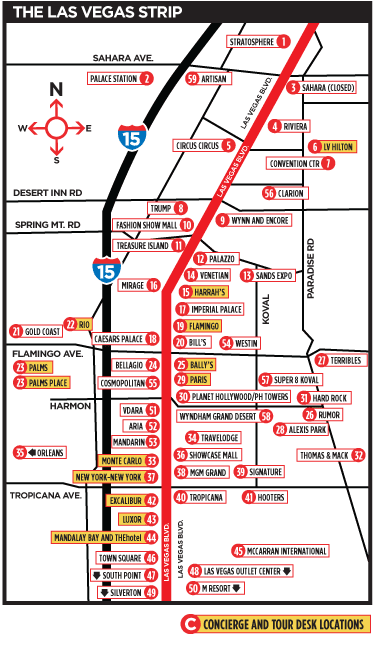 Taking the back side of Tropicana to Harmon is a quick way into self-park to see that show, or to the front door. Make sure your taxi takes that quick route from Orleans or bust. 9- Walk now, and save yourself for Saturday car show and bands. You'll be running sprints at Viva so be prepared. This year during the biggest day of music and festivities Saturday, there will be two stages instead of one. Headliners include: Imedla May (Ireland), The Trashmen, Los Straightjackets, The Chop Tops, The Aquasonics, The Sun Rockabilly Show: Sunny Burgess + Carl Mann + Hayden Thompson + Narvel Felts. There is also the largest assembled vintage market anywhere, one of its claims to fame. The Pinup Girl Clothing booth is always a place to get prizes and autographs of famous models as well. Then of course, the gilded beauties driven from all parts of the area in the VLV Car Show. Over 800 cars are assembled here each year, all pre 1963. 8- Check out the bands in the after hours situations, and listen to DJ's play rare hot new and old tracks. Drink and dance the night away late in the downstairs bars, public are welcome no four day passes needed. You'll never have seen so many greasers in one place, the people watching and photo opps never stop. Saturday Night 2013 Ladies all dolled-up... the norm. 7- Do get to both the ballrooms Thursday through Sunday with your four day Viva Pass. You're missing a LOT if you don't go to all days. You will see bands in 50's American rock style from all over the world and you'll fall in love with bands like the one playing on Sunday in the ballroom (3pm ish) called Moonlight Howlers. A female drummer and singers all, the trio out of Arizona has played with some amazing high level stars and earned their way into this featured time slot with hard work and touring all over Erurope and the West Coast of US. Give them a hand and hear their original blues and smoldering rockabilly twang music that will get under your skin and stick. It's my understanding they'll offer two records for sale. They played in the free bar downstairs last year, and are moving up in 2014. 6- Pack water. When you arrive hit a CVS or somewhere to buy quarts or gallons. Even if you're on foot, or cab, make the stop. The hotel isn't near much and getting out to stock up on water can be a bit of a rough errand. I promise you this is important. Saturday or Friday is when you'll be thanking me for this, as all vending machines may run out of water. 5- Shoes - comments for guys and gals from a dancer. Ladies bring tennis or flats. This is not the time to get set down by a blister just because you weren't practical. Wear open toed wedgies for longer comfort, use Vaseline to avoid blisters, and bring open toed flats. Yes you will want to be in heels, but there'll be times it's so crowded no one can see your feet. Cowboy boots are great, just bring Vaseline for your heels and edges of boot. If it means the difference between crying all weekend or being happy and seeing ten more bands, isn't this worth it? If you're dancing in the contest you'll find a medium slick floor. You may want to bring a little chalk or powder to help you make it to the finals. Best of luck out there. Wardrobe- be wise. It's hot and windy here in April. Hot can be in the 90's during this month, and wind can get chilly at night. If you are going exploring in the city, bring a sweater, and or scarf. 4- Do drag yourself up to get a voucher for burlesque showcases, (obtain at indoor box office noon Friday and Saturday with 21+ I.D.) and the burlesque competition. Be careful on Saturday people's groups of friends to cheer contestants on get there en mass to dominate the line. Start early, you've been warned. 3- Bring an extra bag or fold out luggage. When you're at Viva you'll find merch. you can't get anywhere else. From stockings, to shoes, to cd's, to full suits and dresses, it is amazing. Instead of having to ship it back, you might want to anticipate a shopping frenzy. You'll be stocking up on vintage everything for a year. 2- Plan to obtain signatures of stars you will see walking around to enjoy shows at Viva. They are super nice usually, and Saturday you can get people like Sun Records legends, Imelda May, or pinup Masuimi Max and other famous alt and fetish or pinup models. This year a tremendous amount of international burlesque stars have been secured for the showcase, and it will be amazing, I've seen the line-up. Check for updates and forums and more at vivalasvegas.net. The Strip Runs South North. South is the airport, North is the Stratosphere. The Orleans is on Arville and Tropicana a few miles west of the Strip. Hotels near the Orleans include the Tropicana, New York New York, MGM Grand, Palms, Rio, Excalibur (lots of kids) and Luxor. if you take LV Blvd and head to Main or Fremont St.